Materials Science is inherently an interdisciplinary field. It combines theories, principles, and techniques in Physics, Chemistry, Biology, and Engineering to design and fabricate new and novel materials, structures, and systems and to study the behavior and dynamics of devices made up of these various material components. 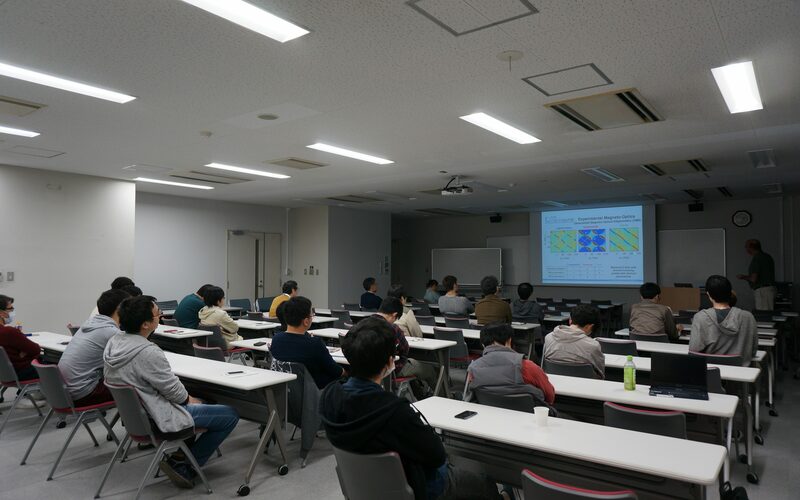 In NAIST, students in the Division of Materials Science are exposed to interdisciplinary and multidisciplinary materials research through the Photonic Nanoscience Special Lectures (PNSL). 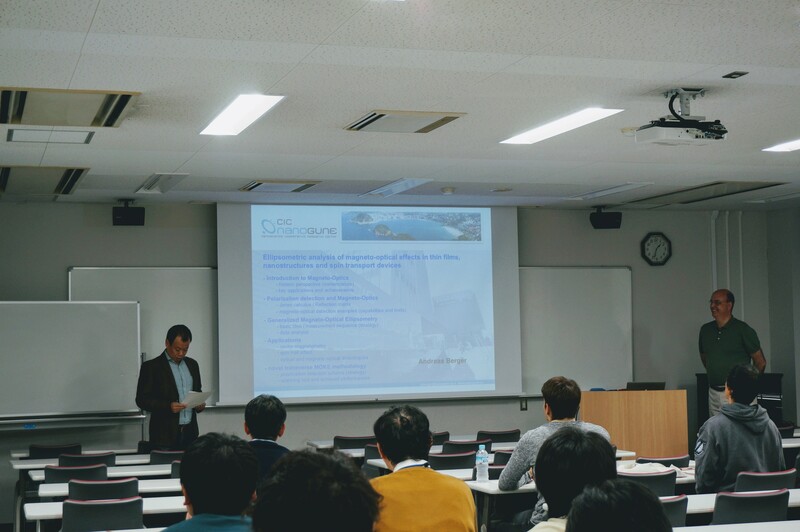 The PNSL traces a long history of research talks given by esteemed researchers within Japan and from foreign universities and research institutes. 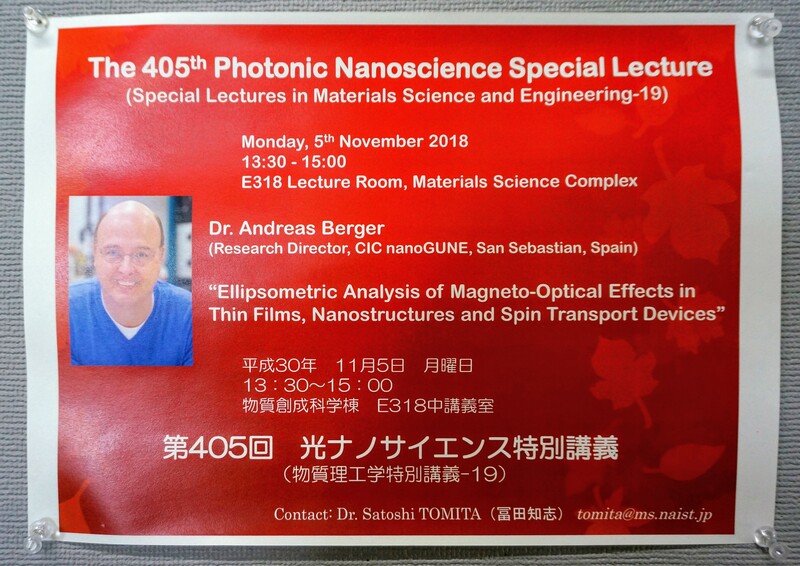 The 405th Photonic Nanoscience Special Lecture delivered by Dr. Andreas Berger and entitled “Ellipsometric analysis of magneto-optical effects in thin films, nanostructures and spin transport devices” focused on magneto-optical effects and characterization techniques in different magnetic nanoscale systems. Dr. Andreas Berger is the Research Director of CIC nanoGUNE, the Nanoscience Cooperative Research Center, located in San Sebastian in the Basque region of Spain. He was invited by Assistant Professor Satoshi Tomita of the Quantum Materials Science Laboratory (QMSL). In the second part, as leader of the Nanomagnetism Group, he discussed the specific area of research that his group is interested with. The group is conducting both basic and applied research in magnetism in nanoscale systems, magnetic characterization, and magneto-optical effects. He discussed the basic theory of magneto-optical effects and later on dove into his group’s previous and ongoing research on magneto-optical characterization of thin films, nanostructures, such as wires and spirals, and other spin transport devices. It was such a treat to see the application of the theory of electromagnetism that I learned in my bachelor’s and master’s degree! After a very informative lecture, the floor was opened for questions, comments, and clarifications. 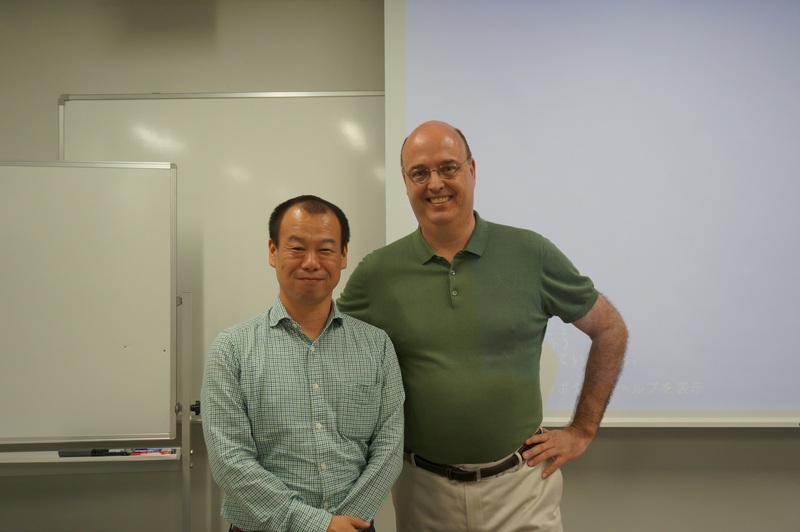 Prof. Hisao Yanagi and Associate Prof. Hiroyuki Katsuki, also from QMSL, both asked questions that led to further discussions and exchange of ideas. 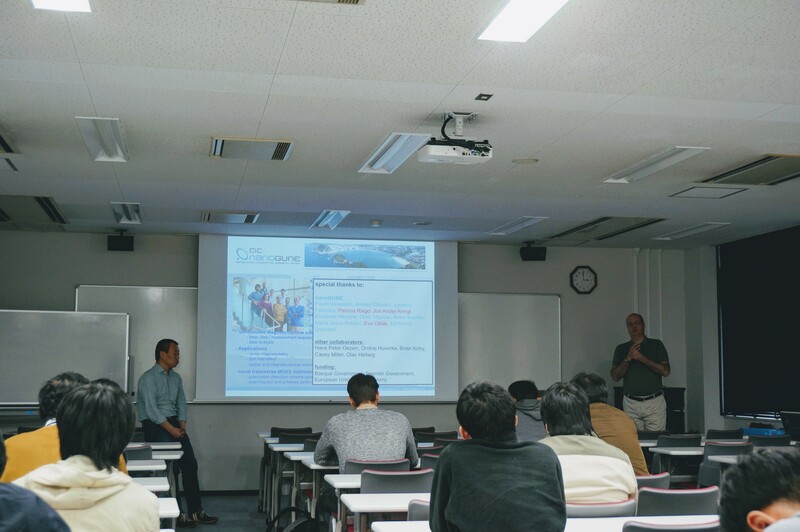 Special lectures like this by professors from other universities within Japan and abroad give both the faculty members and the students the opportunity to expand their horizon in terms of research themes and theoretical and experimental approaches in materials science. These lectures also allow us to see the connection between one field and another, paving the way for collaborative, interdisciplinary research.